Stretching after a workout has been proven to help prevent injuries, reduce soreness, help your muscles recover faster, and just feels good in general. Although you should research stretches that will target your individual problem areas, these six stretches are a great general starting place for getting a good stretch in all the right places. Always practice these stretches after a run, and try to find time for them on your off days too. 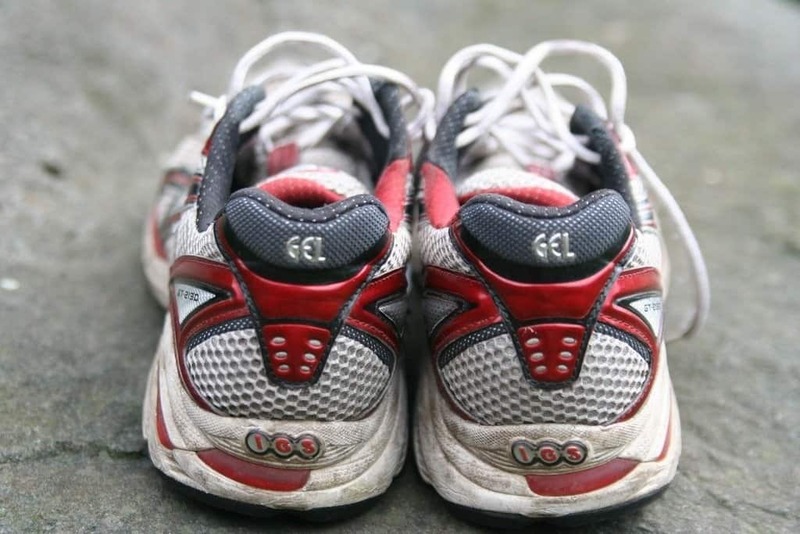 Better flexibility will help running feel easier and enable you to go faster for longer! Your quads absorb a majority of the shock to your legs when you are running, make sure to give them some room to breath and relax afterwards with a long standing quad stretch. Standing with feet together, lift your right foot behind you and grab it with your right hand. Pull your foot towards your glutes until you feel tension in your quads, making sure your knee is pointing towards the ground. Hold for three deep breaths and switch sides. Use your opposite hand to balance yourself on a wall or railing if you have trouble standing on one foot. Stretching your calves after a run not only feels great, it’s imperative for preventing shin splints. 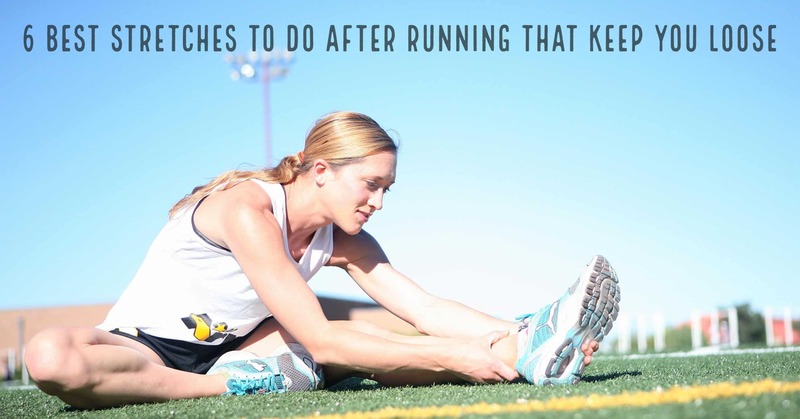 Practice this stretch after every run. Standing with feet slightly apart, face a wall and place your hands flat on the wall. Extend your left leg straight back, placing your heel flat on the floor. Bend your right knee and lean into the wall until you feel the stretch in the calf on your left leg. Do not bend your back leg, it should remain straight with your foot flat on the floor. Hold for three deep breaths and then switch. Hips are often overlooked, many of us don’t even realize how hard they work just during everyday tasks. But running puts extra strain on your groin, hips and lower back. If you don’t stretch your hips after working out, soreness, and possible injuries in these areas will quickly follow. Kneel on the floor and bring your left knee up so the bottom of your foot is on the floor and extend your right leg out behind you so that your shin and the top of your foot is on the floor. Shift your weight forward until you feel a stretch in your left hip. Hold for three deep breaths, then switch. Whether your run, walk, swim, bike or sit at a desk all day, your hamstrings are often in dire need of some love and attention. This commonly tight area is the first place you’ll feel the soreness after a tough workout, making this stretch great for post-run and one of the most popular of all time. It also increases your overall flexibility, which will help you feel less tight and cramped on future runs. Sit on the floor and straighten your left leg in front of you or slightly to the side. Bend the right knee, placing the sole of your right foot against your left inner thigh. Fold your torso over your left leg, extending your arms out toward your left foot. Stop when you feel the tension in your hamstring, and hold for three deep breaths. Then switch sides. You can also get an added stretch in your back and abdominals by extending your opposite arm toward your foot and reaching your other arm behind you. For example, if your left leg is extended in front of you, reach toward your left foot with your right hand, and extend your left arm behind you with your palm flat on the ground. You’ll feel the stretch in the right side of your back and abdominals. Like your quads and hamstrings, soreness can be felt in the glutes immediately after a workout. Typically a pesky place to feel a good stretch, this lying glute stretch will help you eliminate the tight soreness and prevent injury. Start by lying on your back with legs fully extended and arms rested on the ground at your side (take a deep breath and relax your back, it’s amazing how good lying flat on your back can feel after a tough workout!). Bend one leg and bring your knee towards your chest, pulling the foot towards your opposite hip. You can bring your other leg up for support, or keep it straight and hold your foot with your hands. Hold the stretch for three deep breaths, then switch. Simply the best way to get a good stretch in your groin, hips and inner thighs, you may find this stretch so relaxing you hold it for ten deep breaths! Lean forward to deepen the stretch into your lower back. Hold for five deep breaths, or more.